School Readiness Testing – Scholastic Testing Service, Inc. 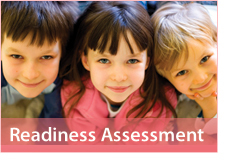 Does your school need a developmental screening tool to help determine early childhood readiness? Then the Comprehensive Identification Process (CIP) is the perfect tool for you. 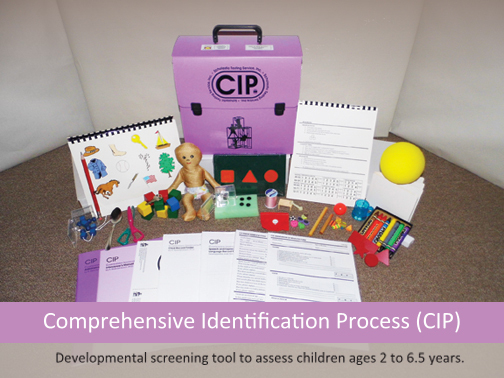 Appropriate for children between the ages of 2 and 6 1/2 years of age, the CIP helps identify children who may need special medical, psychological or educational assistance to function at their highest possible level upon entering grade school. The screening process takes 30-45 minutes with children performing a series of tasks at the appropriate age intervals. The development screenings areas include: Cognitive-Verbal, Perceptual Motor, Gross Motor, and Speech and Expressive Language. The CIP screening is designed to give recommendations for follow-up such as a vision or hearing test or a complete medical examination. Because CIP screening results in alternative recommendations, it prevents the labeling of a child; prevents the comparison of the children’s scores; and permits the consideration of overall behavior. Screening should be done by early childhood professionals or trained paraprofessionals in a preschool or medical setting. 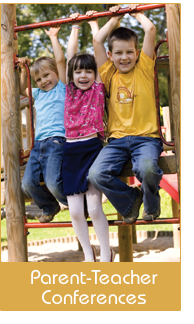 Find out why CIP has been a trusted resource for developmental screening in early childhood education. Call us at 1.800.642.6787 to request a CIP Preview Set or to order a full CIP Kit. Available for purchase online, too. Here at STS we realize that parents are always looking for resources to encourage their child’s academic growth and spark creativity. To that end, we recommend the following products. 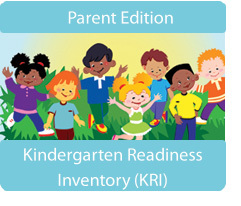 Kindergarten Readiness Inventory (KRI) Parent Edition – this new product was modeled after our longstanding Kindergarten and School Readiness Tests to allow parents to assess their child’s kindergarten readiness at home. Learning Mathematics Creatively – this three part series offers creative ways to address difficult mathematics concepts like solving word problems, using place value, and mastering primes, fractions and decimals. Tin Man Press Products – this ingenious series of “creativity boosters” provides workbooks and activity cards with a range of art, writing and problem solving exercises. Perfect for parents looking for learning activities to use during school breaks and summer vacation. Kindergarten and first grade teachers know their students are not equally ready for instruction. Some students may be reading and doing addition and subtraction while others may still need assistance with letter and number recognition. As a result, early childhood educators have to determine individual readiness by giving careful consideration to each child’s physical, social, and cognitive development. 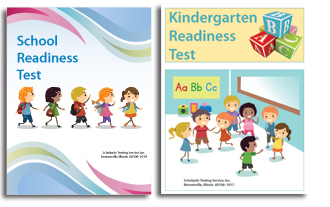 Our Kindergarten Readiness Test (KRT) was created to assist educators in this endeavor by assessing the development of underlying competencies in six areas – Vocabulary, Identifying Letters, Visual Discrimination, Phonemic Awareness, Comprehension, and Mathematical Knowledge. Designed to be administered at the end of preschool or before the third full week of kindergarten, the KRT can be administered in thirty minutes or less and provides immediate results with subject-specific readiness levels related to national percentiles and stanines. For older students, the School Readiness Test (SRT) was developed to assess first grade readiness. In less than 2 hours time, the SRT rates student readiness in Vocabulary, Identifying Letters, Visual Discrimination, Phonemic Awareness, Comprehension, Mathematical Knowledge, Developmental Spelling Ability, and Handwriting. SRT readiness ratings and instructional implications allow teachers to evaluate each student’s competency by subtest and provides diagnostic assistance as well. Parents that are curious about their child’s readiness should read more about the Kindergarten Readiness Inventory – Parent Edition. For more information on these or other products for early childhood educators, please contact customer service at 1.800.642.6787 or sts@ststesting.com. Before the conference, talk with your child. Children should understand why the conference is taking place. Is it a routine meeting for all parents, or due to a problem? Find out if your child has any concerns with schoolwork or classmate relationships, which should be discussed with the teacher. Become familiar with homework assignments. How is your child doing with homework? Are the assignments understood? Work getting done? The conference is the appropriate venue to discuss any homework issues or concerns. Prepare to collaborate. Teachers will most often give parents bad news because they want the student to succeed. Naturally, parents can become defensive and protective, when hearing negative feedback about their child. Assume the teacher has your child’s best interest in mind, and respond calmly and tactfully. Set a date to further discuss the problem or work out a solution. Remember, teachers are as afraid to give bad news as parents are to hear it. Ask Questions. Prepare a list of questions to ask your child’s teacher. Is my child meeting expectations or struggling in any area? If you have any concerns about your child’s behavior or performance, take this opportunity to ask the teacher for feedback. Request any recommended materials or resources to further assist with your child’s educational growth. Because the average conference lasts only 20 minutes, planning ahead will help you make the most of every minute and maximize the experience. The parent – teacher conference provides a great opportunity for you and your child’s teacher to share information and insight. You can develop a relationship with the teacher, open the lines of communication essential to student success, and be a team player in your child’s education. Recently, I have been reading about standardized testing, including reviews of the Reading First program. There are some studies reporting it does not improve reading in early elementary school children any better than regular programs. 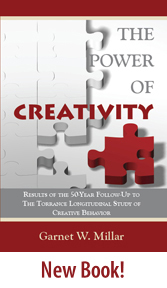 Other studies report that it does positively effect early reading test scores. There is so much controversy about the program, that I wonder why we are forgetting about the children. I continually read that the teacher is the one who makes the difference in children’s learning, nearly regardless of the material used. I think that the important feature of early education is how carefully the teacher monitors students’ progress – not how well they have been prepped to take a test. If the test has validity, meaning it is aligned to the skills/standards/objectives of the curriculum, the results will show how well they know the material. What about early school testing? I think that it can show what children have learned from instruction as well as show where they need review or further instruction. Most early school testing is designed so that the few who need additional work are diagnosed and can be assisted.